The Lord blessed us with beautiful weather and a striking setting for our Groundbreaking Celebration on Lee Highway! 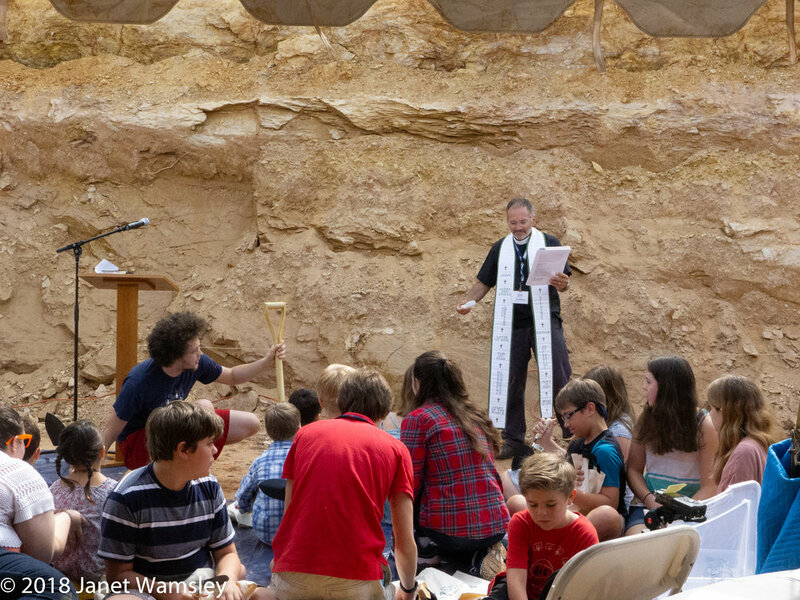 Set within the footprint of our new building, we worshiped together under a tent and asked the children and youth, the next generation, to break the ground. It was a time of palpable joy and celebration with old friends and members of the community joining us in praise of God for his many blessings to us along this journey toward a new home. Bishop John Guernsey and former Rector David Harper joined Joe and Josh to celebrate communion on the very spot where the altar will be situated in the new building. We were also joined by representatives of Fairfax County. How firm our foundation in Christ alone!